The newest of bank related scams has been caught by MailShark spam filters. It’s a phishing attempt, claiming you have a new statement for your ANZ credit card. ANZ stands for Australia and New Zealand Banking Group and is the fourth largest bank in Australia. We strongly suggest removing this email from your inbox if received. Figure A shows the email’s contents. It is mostly text and is very plain, which is an attempt to make it look like a personal email. 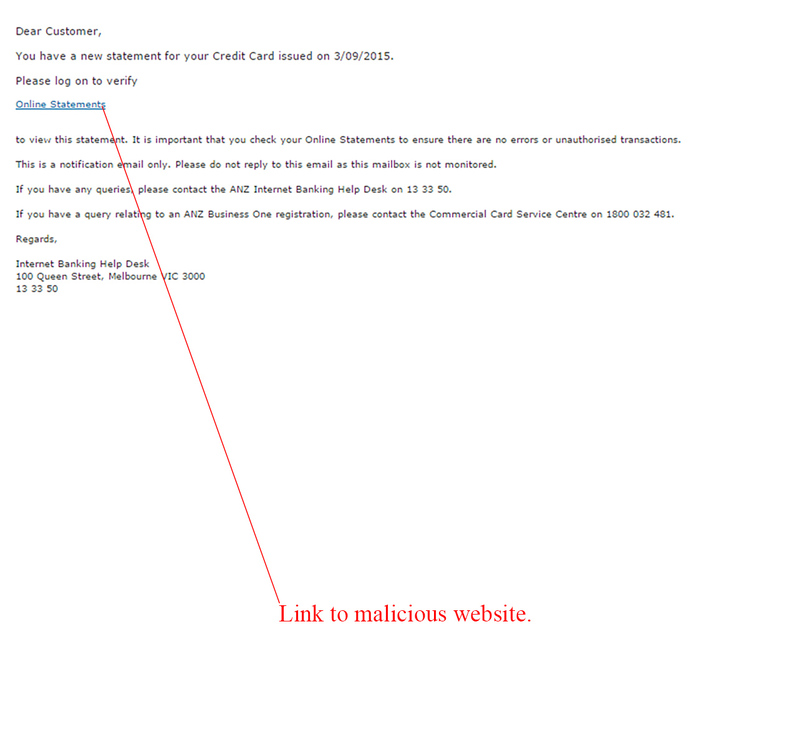 There is one malicious link in blue, which leads you to a malicious phishing website. The subject line reads “A new statement for your Credit Card” which is an attention grabber. It is shown as sent from “Anz Bank”, however the email address is spam even though it looks to be from an official ANZ associated email. They have even included phone numbers to contact if you have any queries, which is a tactic to instil confidence for the receiver about the email. Figure B is a safely captured screenshot of the malicious website you will be lead to if the link is clicked. 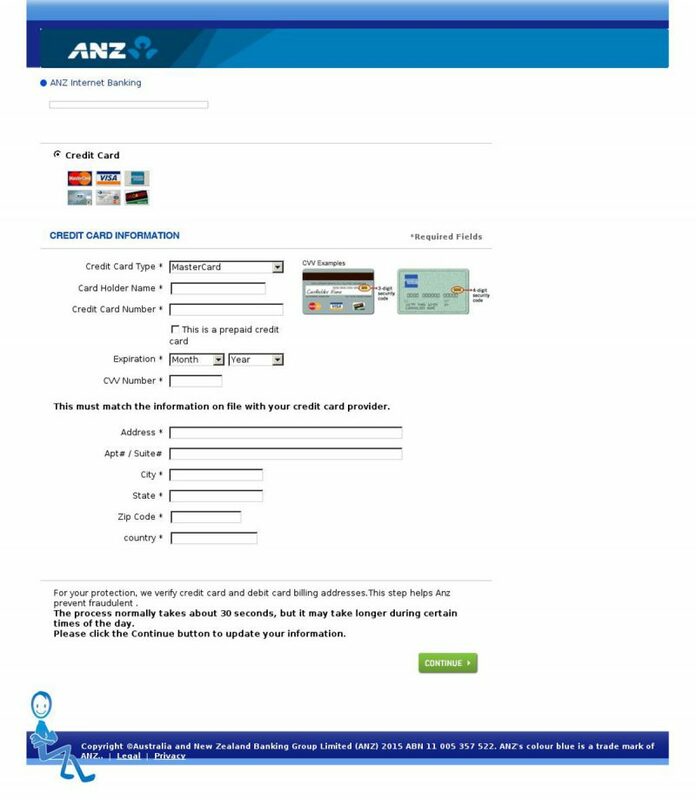 It is poorly branded as if it were an official ANZ webpage and is asking you to enter your credit card information. This is a very dangerous phishing attempt – entering your details here will lead to those details being shared and used by criminals. If you are ever in doubt when it comes to bank related emails contact, your institution directly. Falling for this scam will lead to dangerous consequences – if you have been scammed, be sure to talk to your bank about safety measures and possible cancellation of your card. Delete this email from your inbox to stay as safe as possible.